The texture of the BMW M3. Down with not real machines! BMW M3 Hamann E92 - a coupe for a quick ride in Liberty. Features of the model: extras, detailed HQ textures. 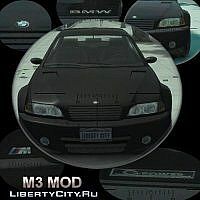 High-quality model BMW BMW M3-E46 with tuning, supports all the main functions of the game!